On-site Service We are here to help you at your site! 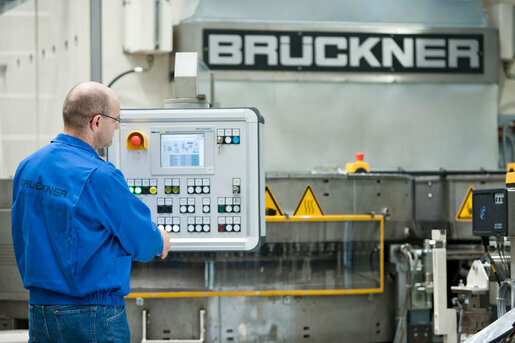 In case of equipment malfunction or technical questions, our on-site service team assists and supports you on any electrical, mechanical, process or software challenge. In-depth trained personnel, with many years of experience in the stretching business, pave the way for quick problem solutions and best support. Because when help is needed, there is no time to waste. Our service team is international as our customers. Fluently spoken languages like English, French, German, Hindi, Indonesian, Italian, Mandarin, Portuguese, Romanian, Russian or Spanish overcome language barriers and ensure the best possible support. Our service centres are located in China, Colombia, India, and Indonesia and of course in our headquarters in Germany. Always close to our customers.